Our dear friends from Glass Aquatics have a great surprise for us this month; their new and improved website is to be released this April! Follow them for great giveaways, discounts and a great selection of dry/live goods from their website and the ReefTrace Live App! This month get in the action for a chance to win a Zoanthid Five Panel Hat (Black Crown)! Like Glass Aquatics on (Facebook/Twitter/Instagram). Like ReefTrace Live on (Facebook/Twitter/Instagram). 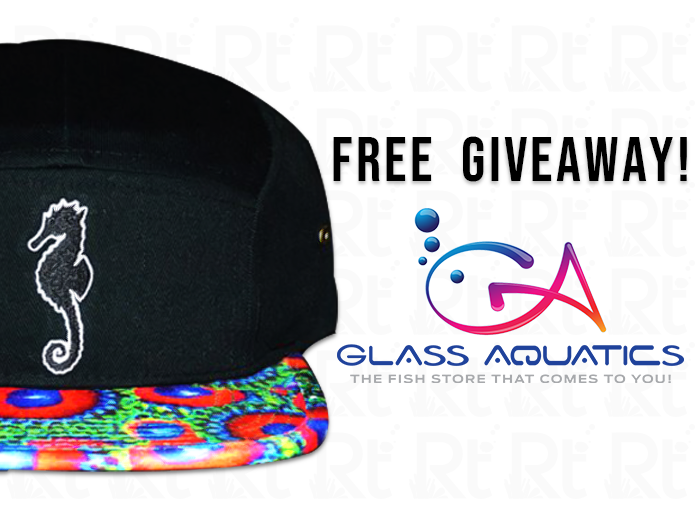 Share this Giveaway Ad publicly and tag 2 reefer friends in America! *For 6 extra tickets in the raffle; download the ReefTrace App at the App Store. *For 2 extra tickets join The ReefTrace Live Group in Facebook. ++We use SocialMedia Trace ™ to validate participants and randomly pick the winner(s). The Promotional Prize for winning the Glass Aquatics CoralWare Clothing Giveaway! from https://coralwearclothing.com/products, valued between $40.00 and $50.00 USD (the "Prize").